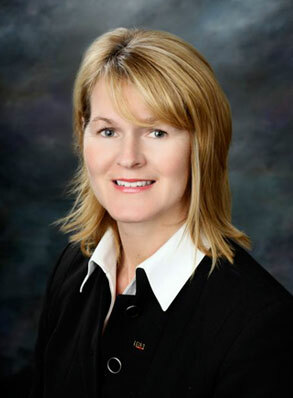 UNB is pleased to announce that Margaret Grant-McGivney (BScCE'88) has joined the university to undertake the important role of executive director of the UNB Associated Alumni. Margaret has more than 20 years of experience in the public sector. Most recently she served as Assistant Deputy Minister, Policy, Strategic Development and Intergovernmental Relations in New Brunswick's Department of Transportation and Infrastructure. Margaret is a strong leader and has extensive experience in strategic planning, project management, and has been very successful in building and fostering relationships with colleagues across government, the province and the country. She has served on a variety of committees and boards in her professional capacity as well as on a number of local volunteer boards in support of the community, including her current work with the Fredericton Community Foundation. Margaret is a UNB alumna and long-time resident of Fredericton who has many connections to UNB. Her father, Earl Grant, taught at UNB. Her husband, Rick McGivney, is a UNB graduate; and she has two sons, one of whom is a UNB student. For media interviews, please contact Natasha Ashfield.